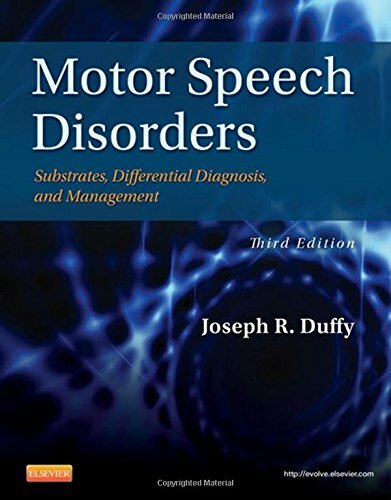 With expanded and updated information including current techniques, approaches, and case studies, the 3rd edition of this bestselling book continues its reputation as a dependable and outstanding evidence-based source on acquired motor speech disorders in adults. It covers the substrates of motor speech and its disorders, the disorders and their diagnoses, and management — focusing on integrating what is known about the bases of motor speech disorders with the realities of clinical practice to ensure readers have the key content they need to be effective practitioners. Chapter outline and summary sections keep you focused on the most significant information. NEW! Accompanying Evolve site features an interactive PowerPoint presentation with more than 60 audio and video clips demonstrating various disorders. NEW! Updated content incorporates Dr. Duffy’s findings from nearly 1,000 new articles on motor speech disorders. UNIQUE! Two-color design and larger trim size help highlight key information and allow for easier lay-flat reading.